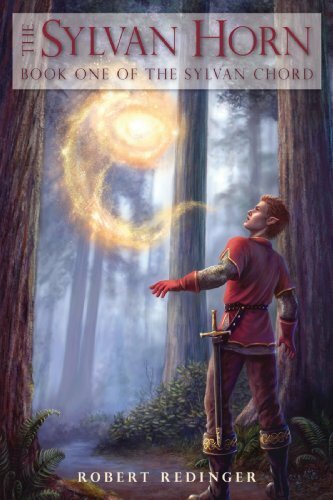 Efkin is a young Elf Lord that sets out on a journey to save the elf world. In order to destroy evil and sorcery Efkin needs to find the horn that will destroy the ruins. Along the path of his journey Efkin encounters many situations, he fears evil is surrounding him and worst of all he believes men are worst of all. Will Efkin locate the horn in time? This book is categorized as a YA Fiction Fantasy. In my opinion this book is far too difficult to be considered a YA. The vocabulary is high level and used often. The story plot is intriguing but definitely geared towards a certain genre of readers focusing mainly on fantasy. The overabundance in characters right from the start can be very confusing and distracts the reader from continuing the book as they try to remember each character, the relation and the relevance of their position in the story. Robert Redinger does an amazing job writing this story and keeping the story floating from one page to the next. I struggled in many areas to continue reading the book as it is so far out of my normal genre of choice. The intensity of certain scenes in the book will hook the reader. This book is very topic specific and I would only recommend this to those that thoroughly enjoy fantasy type books. Those that do enjoy the style writing will love this book and surely fight off sleep as they force themselves to read yet another chapter before putting the book down. For further information you can check out Robert Redinger’s website here. I liked the video! The voice was a little hard to understand but I thought the colors were great and the misty effects are perfect to advertise a fantasy book!